The YCF LITE F88S has been developed for kids from 7 to 10 who want to get used to riding. It has a soft and progressive engine, which is considered one of the strongest available on the market. A seat height of 750mm and 10’’ wheels offer a great riding position to learn how to ride with safety. This Mini has an adjustable throttle, 600mm front forks and a cantilever swinging arm. 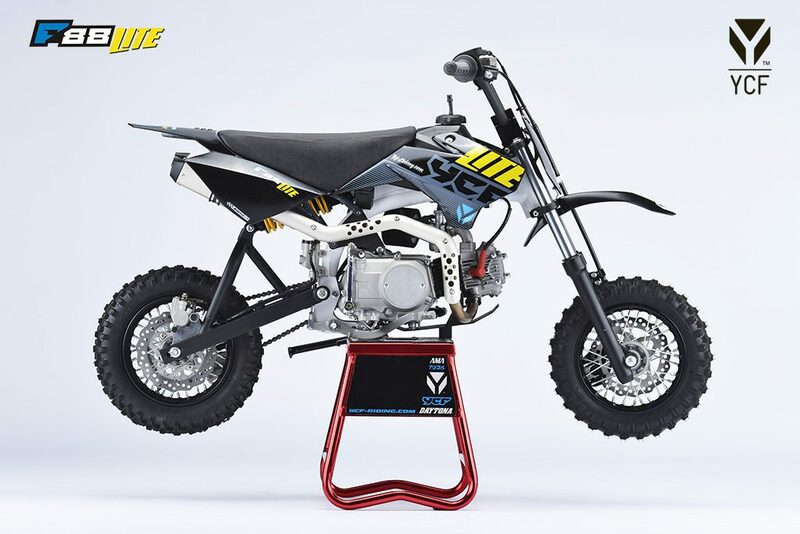 In our accessory catalogue you can find a lower seat and a rear shock height lowering kit for small children.